Yes, you can build trust by using video! How can this be true? Read on and enjoy this example of how using our online video helped this business. Whether marketing a big brand or a small business, the question of how to build trust in your potential customers is always a tough one. Jerry Cheshire, The Beducator from Surrey Beds, recorded this testimonial for greatvideo.co.uk because our videos helped him to build trust and he got an unexpected phone call from Austria. 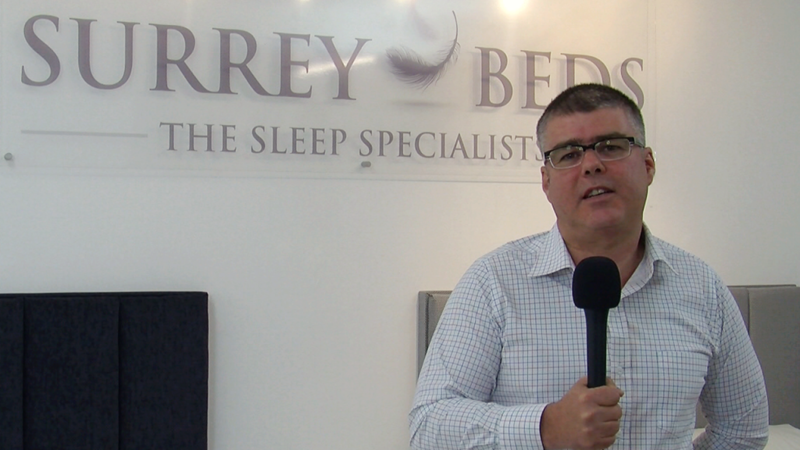 Jerry, owner of Surrey Beds, has sold over 25,000 beds and is an expert in his field. If you want to know anything about selecting the right bed or mattress, Jerry’s the man you need. A while ago he decided to share his expert knowledge through his website and his Beducator blog. We made some short videos and optimised them on YouTube, and these were then embedded on the blog or website as appropriate. Some people in Austria were planning to come to England to shop for furniture for their new home in Greece. Worried about sleeping well in the hot climate they were looking on the internet for advice on what sort of mattresses to buy. They found Jerry’s videos on Youtube, then followed the link to his website. Having watched his videos and heard him give advice on beds and mattresses, they believed in his expertise. The videos helped to build trust. In fact in this case they were pretty much the only channel for building trust. Although the people in Austria had never met him they had heard him speak. More than that, they had seen and heard him, pick up on those little non-verbal signals meaning they could make their own judgement about his character. They decided they could trust him to sell them what they needed. So when they make the journey from Austria to England, instead of going to the big London department stores they are going to an independent bed shop just outside Croydon.